After both Germany and Russia had invaded Poland, Britains response was quite notable. On 3rd September 1939 Britain along with France declared war on Germany demanding that the Wehrmacht withdraw from Poland. But Britain did not request that Russia withdraw from Poland. This was amplified when the Polish Ambassador, Count Raczynski visited the Foreign Office in London and was told that "Britain has guaranteed Polands Independence not her frontiers". In effect, Britain was saying they would protect Poland from Germany but not Russia. Why did Britain fail to see the atrocity being committed by Russia? In short, this was probably due to the fact that in World War 1 Russia had been an ally of Britain. Remember that at that time, Britain was not aware of the Great Terror and similar horrors of the 1930s along with the fact the Britain was neither aware of Molotov-Ribbentrop agreement. So Russia remained very much a political ally, perhaps friend, of Britain and Stalin used this and benefited by it. Once the Sikorsky-Maisky agreement was signed, General Anders was selected to head up the Polish army in the USSR. He was highly regarded as a very determined military man, full of courage and had been extremely lucky to escape the fate his fellow countrymen suffered at Katyn forrest. His depth of knowledge of Russia along with his having served as a cavalry officer 25 years earlier with the Red Army set him in a good place to handle his new role. On the 4th of August 1941, before the amnesty had commenced, he was appointed. Interestingly, at this time he was languishing in a prison cell in Lubyanka expecting to be executed by the Russians. However, with Operation Barbarossa occurring, not only was his life saved but his value as an asset to Russia became immense. The initial formation of The Polish Army In Russia (Later to be known as Anders army) started even before General Anders took charge. 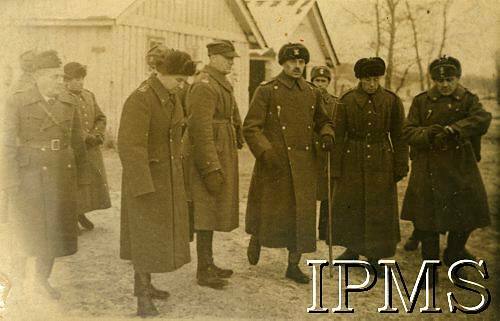 In August 1941, General Michal Karaszewicz-Tokarzewski, newly freed by the NKVD, made his way to Totskoye and visited a POW camp where Polish soldiers were being held. 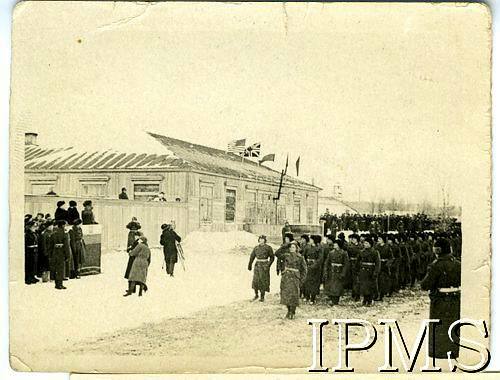 After gaining their release they were organised into a basic army core and Totskoye became the army HQ of The Polish Army in Russia (Later to be called "Anders Army"). Initially, the composition of the Polish armed forces was temporarily assigned to two infantry divisions and one reserve regiment. However, Anders considered this far too small considering there were an estimated 300,000 Polish soldiers in the Soviet Union at the time. There were whispers of more divisions to be formed, but no one knew where or when. What we do know is that Commander Tokarzhevsky commanded the 6th Division in Totskoye. 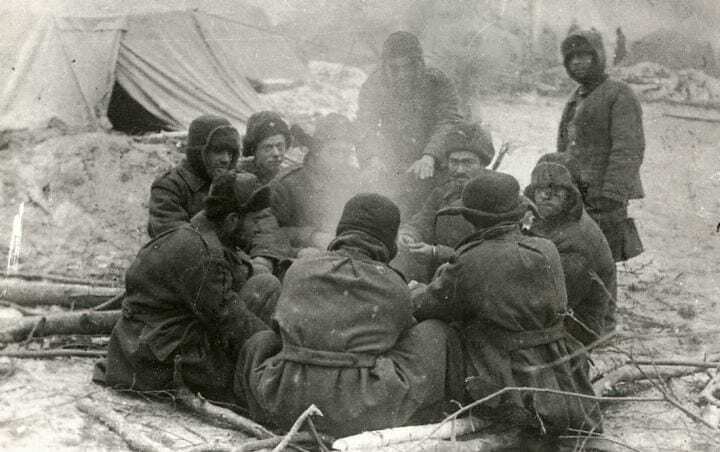 Photos taken at Tockoje 1941 during the forming of Anders army. On 22nd August 1941 after a meeting, he reported on the agreement concluded between Poland and the Soviet Union and the creation of a sovereign Polish army on the territory of the USSR. The order ended with a call for all persons of Polish citizenship to fulfill their duty and join the organized army. 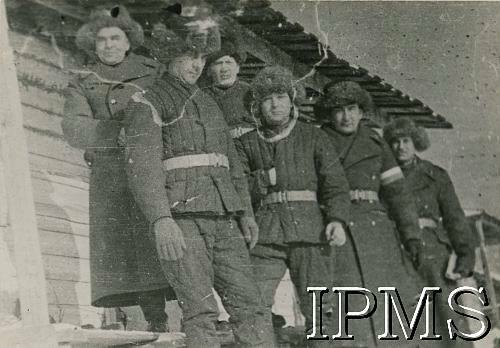 5th Infantry Division in Tatishchev near Saratov. 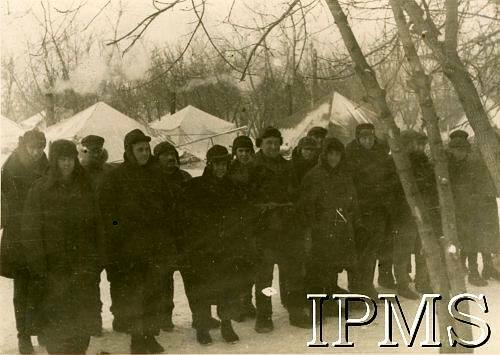 6th Infantry Division in Totskoye, 30 kilometers from Buzuluk. Reserve regiment in the village. Koltubanovsky. Photo: Forming Anders army. Unknown location. And so in September 1941, the first members of Anders army started arriving at these recruiting stations. 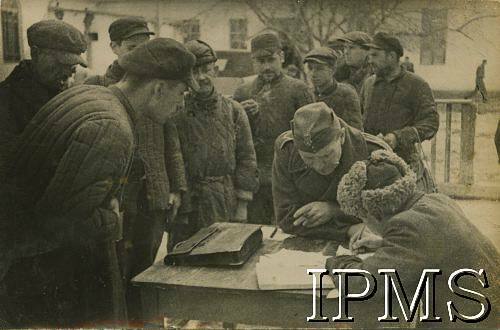 It was in these early days of forming the Polish Army in Russia that the whereabouts of around 20,000 officers first got raised as a concern. The officers that did make it to the recruiting stations had been able to successfully conceal their identity. 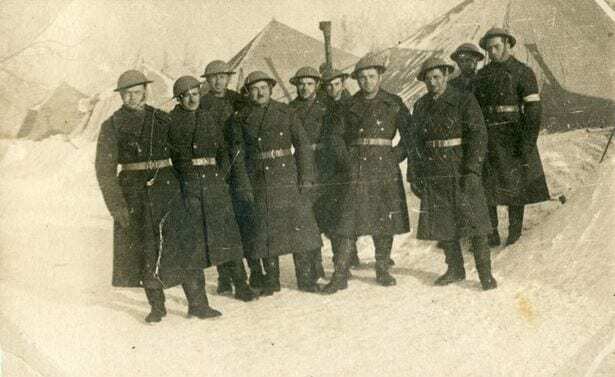 However it was already known that a large number had gone missing because these missing officers had for a while been able to write letters home. Then all of a sudden, all the letters stopped, prompting suspicions in both Britain and amongst the Polish Army in Russia. Later on, the whereabouts of these officers would come to be known as "The Katyn Forest Massacre". Recruiting for the army began in earnest with initial recruits being POW's with military service. At the outset, only 30,000 recruits were sought. 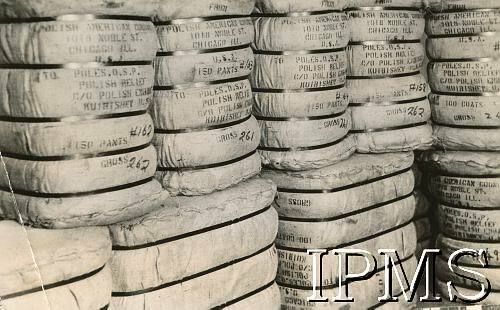 These were recruited directly by special commissions who toured POW camps within Russia. By the middle of September 1941, 24,828 men had signed up. However, an estimated 225,000 POW's were thought to have existed. At this point it became apparent that the winters of 1939-40 and 1940-41 had been very harsh and killed off the majority of the initial POW's. The men that did report for duty were lice ridden, gaunt, exhausted and malnourished, dressed in rags. At the same time, hundreds of thousands of polish deportees remained unaware of the "Amnesty" let alone where they were. Anders memoirs indicate that on 8th September 1941 the first employees of the headquarters of the divisions and partly of the army headquarters headed by Generals Boruta and Tokarzhevsky departed from the airfield in Moscow to their permanent HQ, Buzuluk. The memoirs state that the command of the Polish Army was stationed near Buzuluk, a few kilometers from Kuibyshev. At that time Buzuluk was a small, clean, quaint town like most other small towns. It comprised of small brick houses of up to 2 storeys high. The side streets had lovely gardens and the main street was paved, even electric lighting was present in the town. It was a beautiful, calm, quiet and quaint city. So you can imagine the impact it made on the small town when the Polish army recruits started arriving en masse! In Buzuluk, the Polish command (including Anders who was stationed there) received the use of a stunning house, a 30+ room hotel for officers accommodation and a 5 room mansion for the commander of the army. Many other departments of the army located there also. 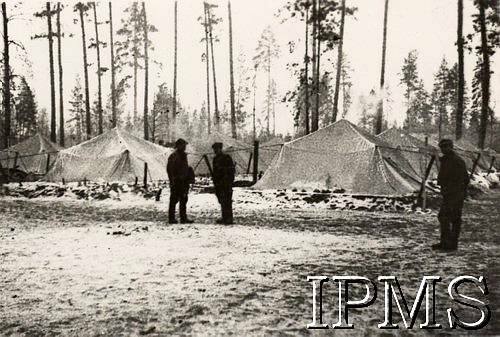 Although the picture above would have you believe that all Polish military lived in tents, this is not true. Although command had the use of a hotel and other large buildings, some Polish soldiers had the use of houses as records indicate they hung Polish flags outside. 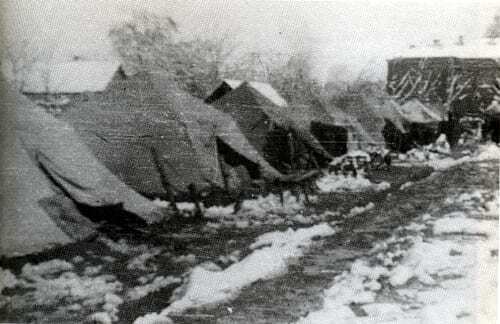 Of course, the vast majority of Polish soldiers would have lived in tents. 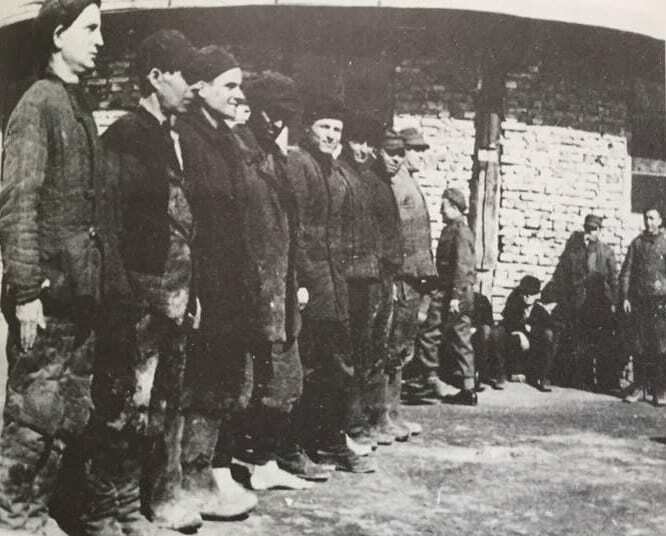 It was whilst in Buzuluk that a dispute between Anders and Stalin broke out over a shortfall of 44,000 rations. Because there was no point of agreement between the two, consensus is that Anders mind changed at this point, roughly mid September 1941, from keeping the Poles as a fighting army within the Soviet Union to withdrawing them from the Soviet Union. It was whilst in Buzuluk that Anders also managed to organise 100,000 English uniforms for the soldiers, these arriving into Archangel. 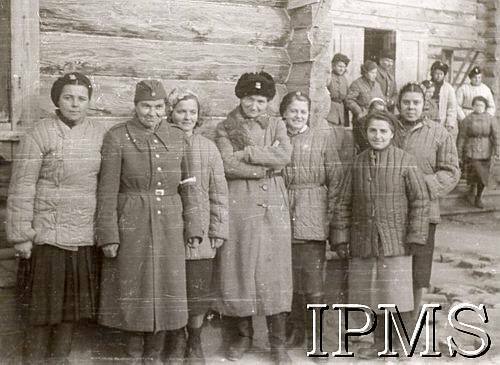 Other accounts will tell you that the Polish army took up English uniforms in The Middle East, but the fact remains that certainly 100,000 of them arrived into the Soviet Union. At Koltubanka a recruitment point was also setup for enlistment into Anders Army. The 5th Division was recruited here at Tatishchevo by Commander Boruta-Spekhovich. At this point we have no further info on tis recruitment post, but as soon as we do it will be added. What was remarkable at the time was the change that came over the Polish citizens. Previously fearful, malnourished, overworked, sick, ill and in some cases near death, they suddenly became free people with a future that had promise to it. No longer were the soviets their captures, their masters, the workers of oppression against them. Stunned and jubilant at this new found freedom, they hurried to the recruiting stations. Many used all manner of resourcefuless in getting a place on the trains that the Soviets put on to take them there. 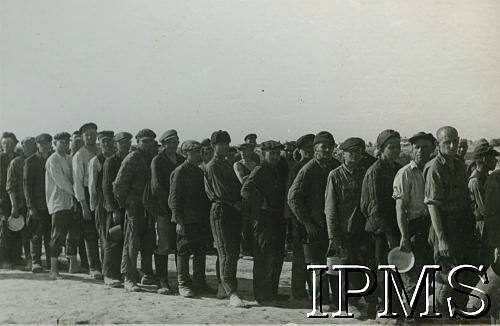 People rushed to places that were known to have Polish units being formed there - in Buzuluk, Totskoye, Tatishchevo. All types of people traveled, the young, the old, the sick, the women. Their clothing was often rags, some travelled in Polish uniforms, some in civilian clothes, some in sandals, others in boots and yet some even came barefoot. There were some with chests, others with suitcases and even more with a simple knotted piece of cloth with the bare minimum of belongings in it. One aspect of Anders army deserves a moment of consideration. Although Anders army was a volunteer army, anyone expressing a desire to serve in this army gave up the right to leave it, even if this were for a short time. Many of the soldiers had families in nearby collective farms and labour camps (How did they know this? This is one detail I have been unable to verify). They were not allowed to leave the army camp to go and see them, even on a soldiers day off he was to remain in camp. To leave the camp, even to see family for a day would be to risk being branded a deserter and being shot! Yes, even in Anders army. And hundreds were shot for just this "crime". This is perhaps the saddest and most bitter fact to take in. Although we can be quick to brand Anders a modern day Moses leading the Poles out of the land of their captors, to shoot a soldier who has endured arrest, starvation, maltreatment and bitter Siberian cold weather along with a 1500 mile trek to an Anders recruitment post only to shoot him for wanting to see his dear family (or whats left of them) is a travesty. Anders has blood on his hands, the same blood that is on Stalins hands. 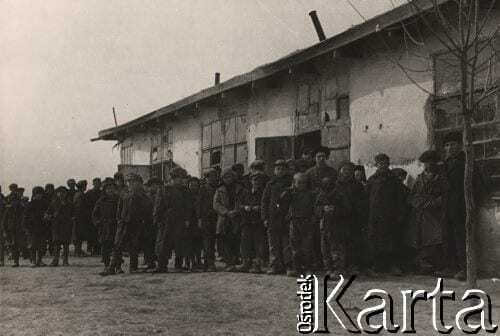 According to the book "Trail Of Hope Page 97" by Norman Davies, on 15 January 1941 Anders leaves Totskoye with HQ staff and travels by train for around 5-6 days to Yangi-Yul, a military camp outside Tashkent in Uzbekistan. Uzbekistan is part of Central Asia and yet is a republic that at the time was controlled by Russia. This new location would be a better climate and would allow the men to refresh and regain health. New recruitment stations were setup in Uzbekistan also. ** Editors Note: At this stage we dont know if/when recruits form the initial recruiting also took the journey to Uzbekistan and Kazakhstan. One has to assume they did. The British and the USA were doing all they could to keep Anders and his army supplied, shipping supplies from their base in Iran via train to Anders. But the majority of the food came from Russia itself and Stalin kept delaying and altering rations to the point that lives were at risk. This was the cause of many arguments between Stalin and Anders and Andes soon became disillusioned. The British said he was more than welcome in The Middle East and Anders mind began to turn towards this as the condition of his men worsened due to lack of rations, nourishment and epidemics. So on 18 March 1942 Anders and Stalin met over a shortfall of 40,000 rations. 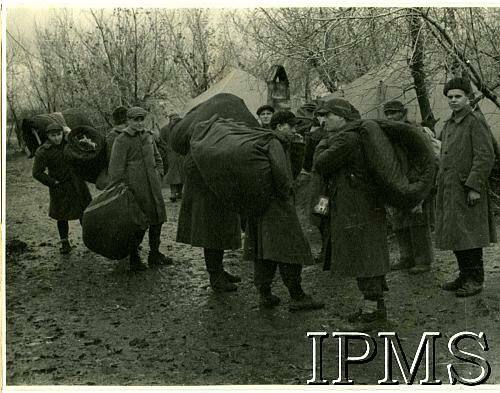 A unanimous decision was made to evacuate some of the Polish Army to The Middle East with the remainder being left in Central Asia. This was the start of the evacuations to The Middle East. One of the reasons Stalin may have been keen for this is that the rations could now be re-purposed for the Red Army.